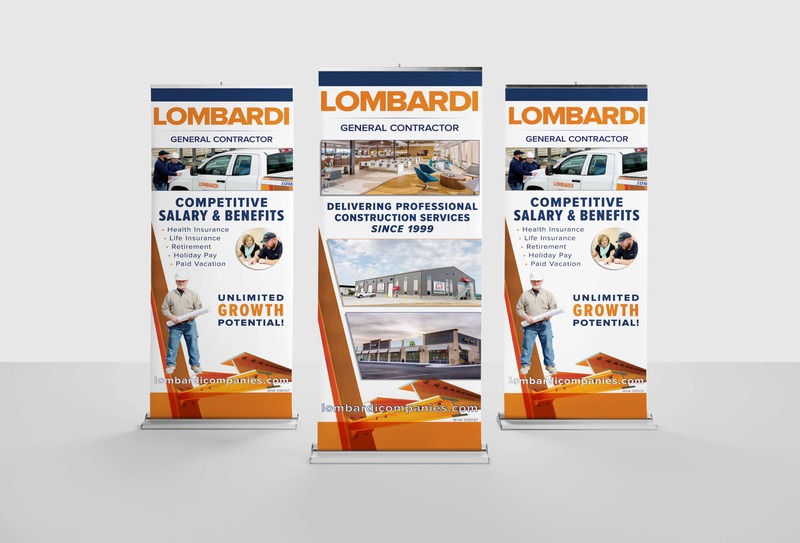 We are always interested in talking with those who know that honor counts, that a promise made is a commitment, that the client’s needs are paramount and that a job worth doing is worth doing the Lombardi way. Then, mail the completed application to our main office at 649 Virginia Ave, Follansbee, WV 26037. Please fill in all information. All potential employees will be subject to a pre-employment drug test and background check. Have you had any accidents during the last five (5) years? Have you had any moving violations during the last five (5) years? Please list your work experience for the past three (3) employers beginning with your most recent job held. If you were self-employed, give firm name. All together, Lombardi General Contractor Weirton wants to make sure that you can handle all the things that come your way in life. With this in mind, our business has all the services that you are looking for. In the event that you are in the process of moving or you are just needing a little extra space for things, instead of trying to figure it out on your own, let us help you. Follansbee Storage Rentals as well as Morgantown Storage Rentals is here to help you get started. In addition to our places there we also offer rentals at Weirton Storage Rentals as well as Wheeling Storage rentals. In the event that you are in need of some storage to keep some of your belongings, Fairmont Storage Rentals are here for you through Lombardi General Contractor Weirton. Overall in spite of the fact the the competition feels like they can do the exact same way that our guys do, however way to look at it this is not the case. Whenever you work with Weirton Storage Rentals as well as Wheeling Storage Rentals, you are going to get exactly what you are looking for. Instead of wasting your time with the other guys that don’t truly care about what you want, rather come to Follansbee Storage Rentals as well as Morgantown Storage Rentals. As a result, you are going to get a storage space the is state of the art as well as specific to your needs. Rather than look into places that you don’t really know what the outcome is going to be, work with the people at Fairmont Storage Rentals. We know that quality is equally as important to the customer as the size of the space that you are looking for. With this in mind each one of our storage space have an inspection as well as repaired on an annual basis. On the whole, all the people that need this type of service we recommend to come straight to us. In the event that you are not sure if the size that you chose is right, or you need to, over time, change the storage space don’t worry. Follansbee Storage Rentals as well as Morgantown Storage Rentals can take care of that for you. Whenever you give Weirton Storage Rentals as well as Wheeling Storage Rentals a call, you are going to get the same answer from each and every one of them. Therefore no matter where you go you are getting the same quality service as well as the same team that will take care of you. At the end of the day you are going to be getting everything you need to make your storage space experience with us a pleasant one. In reality, whenever you decide to consider a storage space, there are so many choices that you can choose from. First you need to decide on the size. Second you need to decide on the prize. Finally you need to decide on where the location of your storage space is gonna be. As a result you can cause yourself a lot of headache for yourself. Instead of this scenario call Fairmont Storage Rentals. Our people at Lombardi know exactly what you are looking for. Not only will you get what you need in the end, our people have the training as well as the experience to help you every step of the way. Regardless of the size of what you are looking for, we are here to help you. Don’t get caught up in a whirl of a bunch of things with people that you are not sure will put your interest first. Instead go to one of our many locations and let them help you out. In summary, whenever you realize that you are in need of some extra space, come to us here at Follansbee Storage Rentals as well as Morgantown Storage Rentals. If you are in a different direction instead contact Weirton Storage Rentals as well as Wheeling Storage Rentals. Above all we want our customers to get a satisfaction that they wouldn’t get anywhere else from Lombardi General Contractor Weirton. Contact us here at Fairmont Storage Rentals and let us help you find what you need for your extra stuff.